Drag & Drop To Design A Website Banner With Bannersnack. Whether you want to take your website to the next level with a cool website header, or you're setting up a display campaign to promote your business, Bannersnack can help. Effortlessly create header pictures or banners in just a few minutes with our smart all-in-one design tool. 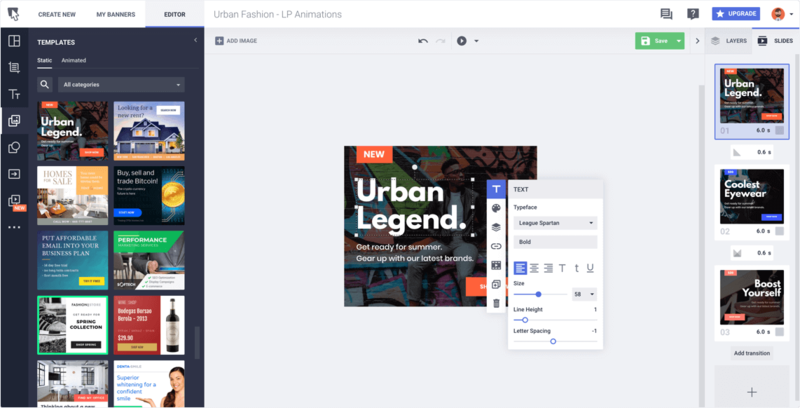 This design tool is unlike anything else you've experienced before. With a cutting-edge editor, Timeline view, database of professional images, icons, and an ingenious animation tool, Bannersnack allows you to create outstanding visuals. From static side banners to animated blog headers and even rich media ads, everything is possible. Sign up for a free account to see for yourself! Got a website or a blog? Bannersnack can help you look impeccable. With a database of thousands of stock photos, beautiful templates, and a drag & drop editor, Bannersnack is the ideal easy-to-use design tool to create stunning visuals. Whether you want to change your blog header seasonally, or would like to announce your next events with an eye-catching visual, Bannersnack can help you easily design beautiful blog header images. Start with one of our templates, customize it to match your website and export it as a JPG, PNG, or GIF file. Watch your website blast off! Planning to set up a display advertising campaign? Bannersnack can help you design static, animated or rich media ads to stand out and drive traffic to your website. Pick a size from our Most Popular panel, or define your own custom size, get a nice template and customize it with your brand assets (logo, colors, fonts). Then, download it as a JPG, PNG, or GIF, or copy the embed code. Once you've set up your campaign, upload the visuals and launch it. Our exports are AdWords standard-compliant and meet all the requirements of major online platforms. Target potential customers everywhere on the internet! Time to break the records! Never worry about your website banner design again! 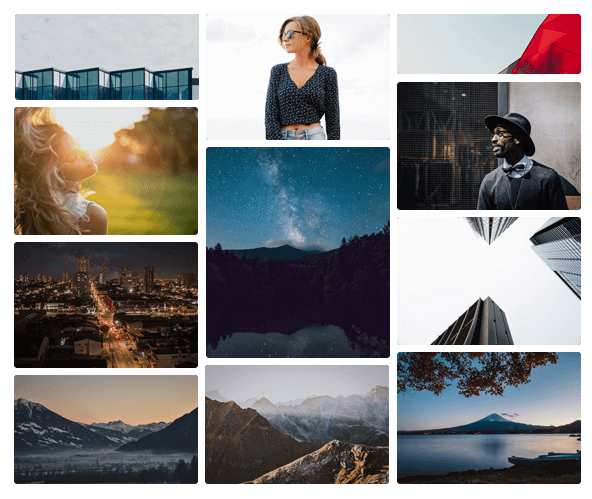 With Bannersnack, you get full access to a huge range of design features and a professional library of beautiful stock images. Use our free pictures and integrate them into your banner designs as backgrounds or close-ups. Play with the editor, colors, and overlays. Get creative! No need to create a website banner from scratch. Just pick a template and customize it to fit your brand guidelines. We created thousands of beautiful templates to make your job easier. We're giving you access to a huge database of free beautiful stock images. Whether you're in the sports or business industry, you'll find loads of photos to get your website images done. Make every word count with a stylish font. Browse through our library of popular fonts and choose the right one for your message. Or, stay in line with your brand and upload your own. No design skills needed! Bannersnack is perfect not only for advanced designers, but for beginners too. Just drag and drop to create the perfect banner by add all the desired elements to your layout. Nail down your website banner or header image with professional vector clip-arts. We have plenty of great ones in our gallery, but if you want to use your own, you can always upload SVG files! Create a Workspace for each one of your projects, store your banners and assets and share work with your teammates. Use your Library to stock your design elements and fonts. Join Bannersnack today and create free website banners, beautiful blog banners, and header pictures.